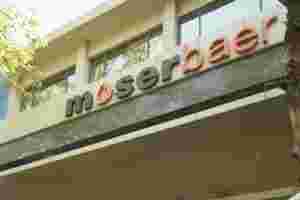 New Delhi: Moser Baer Clean Energy, the renewable energy vertical of Moser Baer India, on Wednesday said it is investing $1 billion (Rs5,100 crore approximately) for setting up solar projects with a cumulative capacity of 300 MW in the country and abroad in the next nine months. These projects would be set up in Gujarat, Orissa, West Bengal and Rajasthan in India, as well as abroad in countries like Germany, Italy, the UK. “It would be half and half, i.e. 150 MW projects in India and the same abroad," Puri said. The company also has ambitious plans for augmenting its solar power generation capacity to 1 GW, or 1,000 MW, by 2015. The company recently commissioned a 23.8-MW solar farm at Lauta, in Germany. The project has been constructed with long-term debt funding from DKB Bank, Germany, which has also financed its Thuringen and Meissens projects. Moser Baer Clean Energy also commissioned a 30-MW solar farm, developed at an approximate investment of Rs465 crore, in Banaskantha district of Gujarat in October this year. The solar farm, spread over 305 acres of land, is likely to generate about 52 million Kwh of energy, which would provide electricity to nearly 50,000 homes everyday and save about 50,000 tonnes in carbon emissions annually.